So soft and super warm; minky has quickly become one of the most beloved fabrics in the world. It can be used in a myriad of ways, it’s easy to work with, and it’s just lovely. As the name suggests, minky is made to resemble mink, a natural fur that comes from the pelt of an animal with the same name. Minky, however, is artificial, so it can be considered a faux fur, so it’s a lot more human than natural fur fabric; plus, it’s a lot more affordable, easier to care for, durable, and easier to find. Whether you’re looking for a unique quilting fabric or you are thinking about making a soft, luxurious hat, scarf, or any other type of apparel, minky is definitely an option worth considering. But, as with most types of fabric – faux leather, linen, lace, etc – there are so many different types of minky to choose from! Any seamstress knows (even those that are just learning the trade with the guidance of a sewing help book) that if you want your creations to be as beautiful and durable as possible, you have to work with the best possible material. Since there are so many different types of minky, how can you decide which option to choose? We’ve taken the liberty of finding them for you! Now that you’ve had a peek at our picks for the best minky fabrics, let’s take a closer look at each one. Below, you’ll find an in-depth overview of each material, including the features of each fabric and what we like about them. 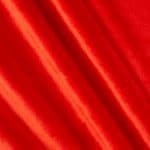 Once you’ve finished reading the reviews and have decided on an option you’d like to purchase, click on the yellow link to find the most affordable prices on Fabric.com. Michael Miller is a much-loved distributor of various types of fabrics, including knits and canvas and duck; they also offer a lovely collection of minky fabrics. 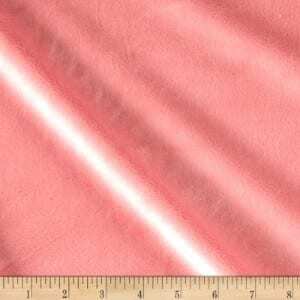 Made of 100 percent polyester, this minky is medium to heavyweight and is extremely durable. It also comes in a wide variety of solid colors and fun patterns. Solid colored options include flame, rust, fern, taupe, bright lime, latte, and mocha, while some of the patterned minky fabrics offered by this distributor include an aqua blue zig zag zebra design, a unicorn-colored strip, a magenta lotus flower print, a pony pattern, and even elephants flying on parachutes against a sky blue background. All of the minky fabrics offered by Michael Miller are vibrant and highly durable. They measure 58 inches wide, are sold by the yard and half yard, and are cut to order. Any of their minky fabrics would be perfect for making so many different projects; a lovely scarf, hat, and gloves set, or even cozy stuffed animals, for example. Honestly, we can’t find any reasons to complain! We just love it! Final verdict: Whether you’re looking for a solid colored or a fun, whimsical patter, you’ll find exactly what you’re looking for with Michael Miller minky fabric. It’s well-constructed, easy to work with, and easy to care for, too. 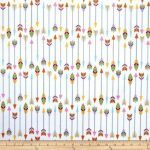 Whether you’re looking to make a unique sweatshirt or scarf, or a one-of-a-kind blanket or throw pillow – or even a pair of pajama pants – this Minky Arrows Minky Print Fabric is definitely an option to consider. It features a really cool arrow print. The arrows are vibrantly colored and point in different directions, and since they’re set against a white background, their vibrant color really pop; it really is a fun, one-of-a-kind design. The material is 100 percent polyester and it’s a medium weight. It’s durable, super soft, and very easy to care for; just toss it in the washing machine and then tumble it dry on a cold setting. The material measures 60 inches wide and it’s sold by the yard and half yard, and it’s cut to order. There are so many unique items you could make with this material; pair it with flannel to make super cute footie pajamas for a baby, or line it with fleece to make super soft, luxurious, and warm sweatshirt. 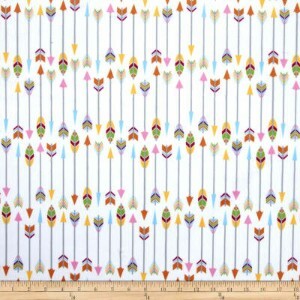 Final Verdict: Overall, we were very pleased with the Minky Arrows Minky Print Fabric. It’s cute, fun, whimsical, soft, durable, and easy to work with and care for. Though it’s a tiny bit transparent, it’s nothing that a little lining won’t fix. Shannon Frabrics is another highly reputable distributor of various types of sewing fabric, such as faux fur, satin, and terry cloth. They’re famous for offering super high quality materials, and their minky fabric is no exception. This minky material is comprised of 100 percent polyester, which means that it is very durable, very easy to work with, and super easy to care for; you can machine wash it on a cold setting and tumble it dry on low. 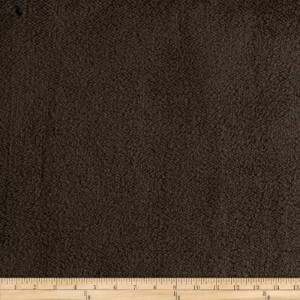 The pile of this minky is 3mm, so it’s also extremely plush and has a smooth, luxurious look. It’s the perfect material for making baby blankets, it could be used as a backing for a quilt made out of pre-cut quilt squares, or it would make a wonderful muffler to keep hands warm on chilly days. The fabric measures 58 inches wide and it’s sold by the yard and half yard and cut to order. It’s also available in a wide range of colors, including dark lime, hot pink, navy blue, baby blue, amethyst, and so many more! We think that their dot minky materials, which feature little nubs, would be wonderful to use as a cover for a baby’s changing bad or a plush stuffed animal friend. Again, we couldn’t find any reasons to complain about this minky fabric. Final Verdict: If you’re looking for a durable, affordable, plush, and just beautiful minky fabric, then you’re definitely going to want to consider Shannon Fabrics for your choice. It’s so well made and there are so many color choices available. We just love it! The collection of minky fabric from Morgan Fabrics is another excellent option to consider. Like all of the other options that have been listed in our review, this one is comprised of 100 percent polyester, so it’s extremely durable and can be machine washed and tumbled dry. 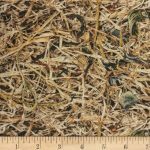 It is heavy in weight, so it would be suitable for blankets, quilts, cold weather accessories; or, you could even use it as a drapery fabric to make a unique valence, curtains, or any other type of covering for your windows. It would definitely help to block out cold air, as well as light. It could also be used as an upholstery fabric to cover ottomans or throw pillows. Final Verdict: Overall, we were very impressed with the Morgan Fabrics Minky Fabric. While there are only three colors to choose from, if you are looking to make something in a neutral color, it would work wonderfully. It’s easy to sew; we had no problems passing it through a sewing machine. It’s also quite durable and very easy to care for. Last up on our list of the best minky fabrics is the Richloom Minky Straw Fabric. 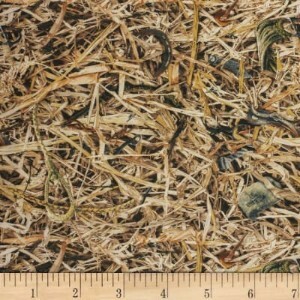 This is definitely the most unique material on our list because it has such a different design; it looks kind of like straw, in fact. Also unlike the other fabrics we have listed in this review, this one is made out of 100 percent cotton, so it’s a bit more breathable than the other mink materials, but it’s still super durable and soft. However, because it is made out of cotton and it has such a unique construction, it does have to be hand washed or dry cleaned, which makes it a bit harder to care for. Nevertheless, this fabric is just exquisite. As mentioned, it has a totally unique look, and it features different colors, such as shades of brown, black, green, cream, white, and beige. The weight of the material is medium, so it would be well suited for the backing of blankets and quilts, or as plush toys or a warm and cozy scarf or hat. 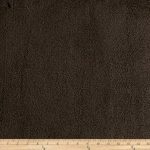 The width is narrower than other options on our list too, as it is only 30 inches wide; however, it is also sold by the yard and half yard and cut to order. Final Verdict: If you’re looking for a super unique minky fabric, then you should definitely check out the option offered by Richloom. It resembles straw, so it has a one-of-a-kind look; it’s like nothing else we have ever seen before! It’s also super soft and can be used in so many ways. While it does have to be hand washed or dry cleaned, we think that the extra care is worth it. Whether you are just getting started out in the world of sewing or you have been making hand-stitched creations for as long as you can remember, you’re going to need to have a few sewing essentials on-hand. Of all the things that every seamstress should have readily available in her sewing room, fabric is at the top of the list. We always suggest having a nice selection of high-quality fabrics at the ready because you never know when inspiration is going to strike; and when it does, you’ll be ready to fire up your sewing machine or pull out your hand sewing needles and start working! There are tons of different fabrics to choose from, and minky is one that you should definitely have available. Minky fabric is, as the name suggests (and as we stated earlier) a synthetic fabric that is made to resemble the look, feel, and texture of mink, an authentic fur. It has a short pile and a super soft feeling that is almost reminiscent of cashmere or really high quality chenille. Minky is often made out of polyester, though it can also be comprised of cotton. It is also available in a wide variety of colors and fun patterns. Because of the soft feeling, the warmth, and the various different colors and designs that are available, minky is used in a wide variety of applications. Some of the most common uses for minky include robes, pajamas, plush toys, throw pillows, throw blankets, quilt backings, covers for a baby’s changing table, socks, scarves, hats, gloves… In other words, there are so many different ways that this material can be used. It’s durable. Minky is an exceptionally durable fabric, and as such, it can withstand wear and tear with no issues. It’s super soft. Minky has such a soft texture to it, which is definitely one of the biggest appeals. It just feels so wonderful brushing up against your skin that you can’t help but want to wrap yourself in it! It’s can be used in so many ways. There are so many different ways that minky material can be used; clothing, baby accessories, cold weather accessories, blankets, upholstery, draperies… you name it, it can probably be made out of minky. It’s fun. Minky is just a fun fabric to work with and to handle. You’ll have a hard time not wanting to rub your hands across it! There are so many options! Minky is available in so many different colors, patterns, and prints that you can definitely find something that will suit your interests! Given all of these benefits, it’s no wonder why minky is one of the most beloved fabrics of seamstresses around the world! If you haven’t worked with minky yet, you really need to. Go ahead and purchase one of these high-quality minky fabrics featured in this review and see for yourself why it is just so amazing!